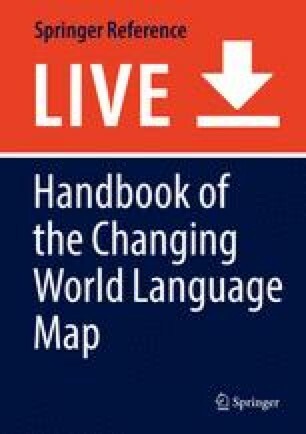 Proceeding from data about the geographical location of the world’s languages to producing a map of that geographical distribution is heavily dependent on the purpose for which the map is intended. This is illustrated with reference to the project World Atlas of Language Structures (WALS), which aims to represent the geographical distribution of the structural diversity of the world’s languages. This leads overall to a preference for representing languages by means of dots rather than polygons, even though this creates problems with languages spoken over a wide area or in a number of nonadjacent areas. This is illustrated with maps showing phonetic, syntactic, and lexical features, such as tone systems, the number of grammatical genders in a language, the order of verb and object in the sentence, and the presence versus absence of a lexical distinction between “hand” and “arm.” Possible research uses of the resulting maps are demonstrated by asking the question whether languages can come to resemble their neighbors as much as their relatives (i.e., other languages descended from the same common ancestor), using Mainland Southeast Asia as the test case, and concluding that areal influence resulting from language contact can indeed cause languages to resemble their neighbors in a significant number of respects. Comrie, B. (2007). Areal typology of mainland Southeast Asia: What we learn from the WALS maps. In P. Kullavanijaya (Ed. ), Trends in Thai linguistics (= Manusya, Special Issue 13) (pp. 18–47). Bangkok: Chulalongkorn University. Online version. http://www.manusya.journals.chula.ac.th/files/essay/Comrie_18-47.pdf. Accessed 15 May 2018. Moroz, G. (2017). lingtypology: Easy mapping for Linguistic Typology. https://CRAN.R-project.org/package=lingtypology. Accessed 06 Feb 2019.